Four young enthusiastic engineers, named Cageware, use their entrepreneurial spirit for creating an online marketplace for farmers. Their cross-platform application aims to facilitate the exchange of agricultural products between producers and buyers. The main purpose of the project is to help farmers to promote and sell their products in a transparent and profitable way for them and the community. You and your friends love to take photos together, but they end up on different phones. Lifebox finds the photos you’ve taken together and makes it easy for you to share them with each other. A bracelet which helps people manage their medical treatments.The bracelet vibrates and/or emits sounds when we need to take our pills. The bracelet is set using a mobile app ( currently only available on Android) but it functions independently. The two devices only need to be connected over bluetooth when the treatment plan is updated. Nowadays, when you search online for a place to rent or to buy you face the same problem: you receive all the ads in the form of a list with hundreds, or even thousands of results. Moreover, when you search for a neighborhood, it usually includes many areas that you are not interested in. This makes the search more tedious; the user gets frustrated, he wastes time and eventually he has to compromise. We offer a solution that lets the user decide which are the areas (s)he wants to live in, by selecting the areas directly on a map. Moreover, the user can receive alerts for the areas selected directly on his/her mobile phone. CookPal is the guiding buddy that talks you through. If you cook (or at least intend to), chances are your cook book is the dirtiest book you have (because kitchen). When all you want is to get busy preparing your favorite meal and still keep your cook book clean, CookPal comes as your third hand. With recipes that are simple and easy to follow, CookPal talks you through the steps and receives your navigation commands via voice. Simple, less-than-two-word commands (“okay pal/buddy”, “repeat”) make navigating through a recipe a breeze, without ever touching your smart device while cooking. Roam the road is an augmented reality role playing game aiming to bring users the real life experience of a fantasy game, combined with exploration and workout. Flaviu Porutiu and Ciprian Stupinean are students at Babes Bolyai University and their project is also part of the Spherik Student program. They are two developers always eager for challenges, as they describe themselves. An app that alerts you when you parked in a wrong place. It basically ties the license plate number of a vehicule to the contact number of the owner. This is usefull because you can get notifications when something happend to your car, like you parked in a crowded place and you have blocked someone. The common workflow is like this: Alice parks in the wrong place blocking Bobs car. Both parties have to have the app installed. When Bob wants to leave, it just enters Alice’s car license plate (or photos it) and, if Bob’s complain is legitimate, Alice gets a notification on the phone. Team Engineers4Cluj is currently in a pivoting phase, shifting away from the idea they developed during the hackathon. They first created an app for keeping track of public transport, signaling arrival times, and helping users prepare their trips according to bus schedules. Vlad Botos, Anghel Botos and Sandor Zoltan Szekely Sipos are experienced developers working in the banking sector, so we’re expecting a product that would make finance look cool again. Are you a guitarist constantly trying to improve your skills and learn new songs? If the answer to this question is “YES”, that means that you might want to give MusicMaster a try. As experienced musicians, we know that the learning process can lead to frustration over time and eventually to abandon (especially in the case of beginners). Get rid of the process of finding the best guitar chords for your favorite songs and start playing as you’ve always wanted. We know that not every musician is a technician. Therefore, we created MusicMaster, a mobile application that enables you to find the chords for your song with a few taps, store them offline and play them anywhere, anytime. In addition to that, MusicMaster’s most innovative feature is recording the moment of transition from one chord to another, enabling you to play your guitar in a Karaoke manner. Whether you’d like to learn new songs or practice songs that you already know, MusicMaster is the best way to do it. JobLink is a solution for job recruiters that allows them to focus on employees’ social behaviour and personal interests in the selection process. The platform analyses social media activity and delivers relevant output for a better matching between candidates and employers. 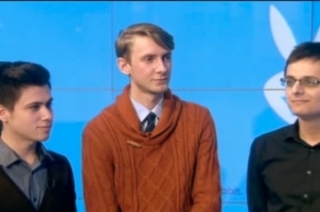 Tudor Lapusan, Radu Popescu and Angela Lepadatu met during a startup event and are all currently employed. Their competences are related to big data, front-end development as well as marketing, which gives their startup a multi leveled set of skills, suitable to launch a well designed product. KiLine is an alternative marketing tool for retailers, based on indoor tracking. The app offers prospects smart shopping alternatives and personalized discounts using beacons to figure out the customers’ location. KiLine has a team of four – Ionut Cazan, Dorin Danciu, Mircea Vasiliniuc, Daliana David – covering both the technical part and product management. Have you ever woke up after a late night party fearing you will not be fit to drive to work? Our study has shown that over 30% of drivers admitted driving under the influence. The answer to this problem is Exhale, our smartphone breathalyzer. Simply exhale into the device and instantly get relevant information such as how long until you are street legal again, or if you are in a hurry, be able to get a ride by cab or by friend. Exhale enhances your ability to drink responsibly and gets you to your destination safely. If you don’t intend to drive we’ve got you covered too. You will be able to compare your “score” with your friends in a new era of drinking games. Quadric addresses the 3D community, aiming to bring together printing suppliers and demand. From file exchange to actual print orders, Quadric is a full service marketplace for 3D printing enthusiasts. George is a developer looking for team colleagues passionate about 3D printing technologies that would consider joining his team and founding Quadric.ro. Nivalis distributes through a mobile app the current active deals of a retailer to its customers based on their interests. We charge the retailers for location analytics about their clients, marketing campaigns metrics and access to the user database ordered on interests for pushing surveys and specialised offers. Openmind Retail Analytics is looking at the intrinsic mechanism of decision making in order to generate actionable insights for any retail business. Our analytics technology uses Wi-Fi mobile data generated in real-time to create behavioral information. This way we can create real-time descriptive analytics around consumption patterns and match these with business specific information to optimize commerce & operations. Clamber is a social app that connects people with the same interests and hobbies. Clamber wishes to create momentum for various communities getting together in their free time. The three young entrepreneurs Paul Cirstean, Adrian Mateoaea and Alexandru Coman form team Plexis, that is also enrolled in Spherik Student program and has recently qualified for Imagine Cup’s national phase. Online ticketing platform Ticket to go provides complete services for event organizers. The mobile app comes with a feature that allows real time tracking of participants arriving at the venue before the event. Cosmin Caragata and Paul Colcer are colleagues, with 4 and 2 years of experience in web technologies. 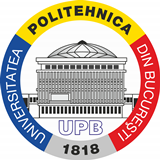 They both graduated The Faculty of Informatics at Babes Bolyai University in Cluj. SpotTune is a mobile app that handles repetitive tasks and helps users better handle their busy schedule. The app is meant for the fast living that needs good planning and constant reminders to keep track of the day. George Platon, Alex Cosma, Alin Turbut and Andrei Puni have a core focus on development. George, Alex and Alin are specialised on Android and web development, while Andrei has more than 5 years experience in iOS. Beauty salons customers feel that salons have a hard time keeping track of appointments, often resulting in overlaps. Also, their customers have no way of making appointments by themselves, at any time of day and night and without interacting with a salon employee. Coming to solve these problems, Beauty Manager is an online solution that offers salons an easy to use system of managing the appointments, a detailed client history for enabling a loyalty program, a monitoring system for the salons’ managers and a notification system for lowering the no-show situations. As for the salons’ customers, they can have access to an app though which they can make their own appointments. Pack-Sender is an app dedicated to people who want to receive packets from another town and do not want to use the current, expensive means. Our solution provides a cheaper and faster solution than the classic packet-sending by train or by car, by encouraging crowdsourcing. Using the Facebook platform, we want to inspire people to ask friends or acquaintances who already travel on that road to bring the packet for them. Our app is initially dedicated to students who need care packets from home, but can be used by any person in need. Business comes as a solution for HR and managers who face problems related to employees lack of motivation, retention and performance. Instead of using limited periodical evaluation to motivate the employees and to keep their performance analytics in a top down manner, we offer an innovative peer recognition system that will include genuine praise from colleagues for individuals and teams. Based on this, managers will be able to get real-time analysis of employees and team performance. Thus, they will make more aware critical decisions while employees will get an element of gamification which will come with redeemable rewards that will lead to an increased involvement at the work place. Pillars of Society is an innovative social game that puts players in contact with the evolution of human history and social order. Players control the destiny of a character who climbs the social ladder, accumulating influence and evolving freely against the backdrop of the tumultuous 20th century. The game offers 3 main Pillars or paths for the characters to ascend on, as well as the ability to influence worldwide and local events, start families and explore the world as they see fit. We are creating a common ground between two people who are in close proximity. How? By introducing them to an environment where they feel safe to interact, without the usual social barriers. Basically you see someone around you, you look them up on Wabbit, and you chat without the need for contact details or an internet connection. Stumble4Food is a service that recommends restaurant menus in the users’ proximity, with a focus on healthy, balanced diets. The given recommendations are constantly adjusted based on the user’s previous feedback. 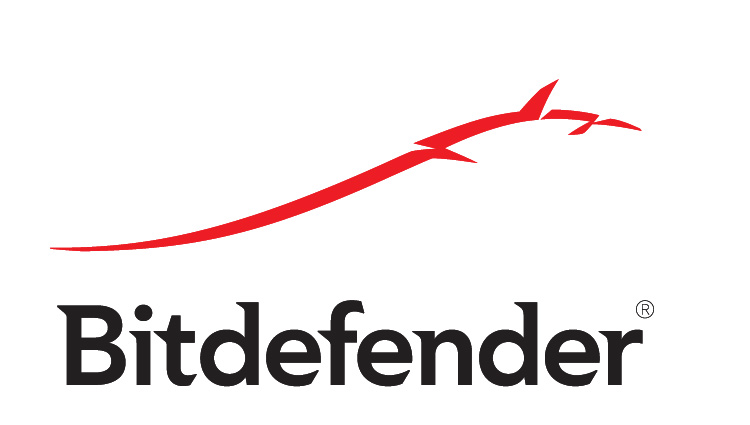 Cristian Lungu, Vlad Topan and Gheorghe Majercsik make a strong team on the technical side, with Cristian pursuing a PhD in artificial intelligence and automated learning algorithms, Vlad being a researcher in security and Gheorghe specializing in user experience. Zeno is a wearable device that helps people live healthier by making real-time, personalised recommendations based on body’s vital signs. Paul Sucala and Daniela Pop are covering the hardware and mobile app development, while the UK-based part of the team is handling marketing and business management.